The making of Dos Gauchos, and spices in general, is a topic of much conversation. 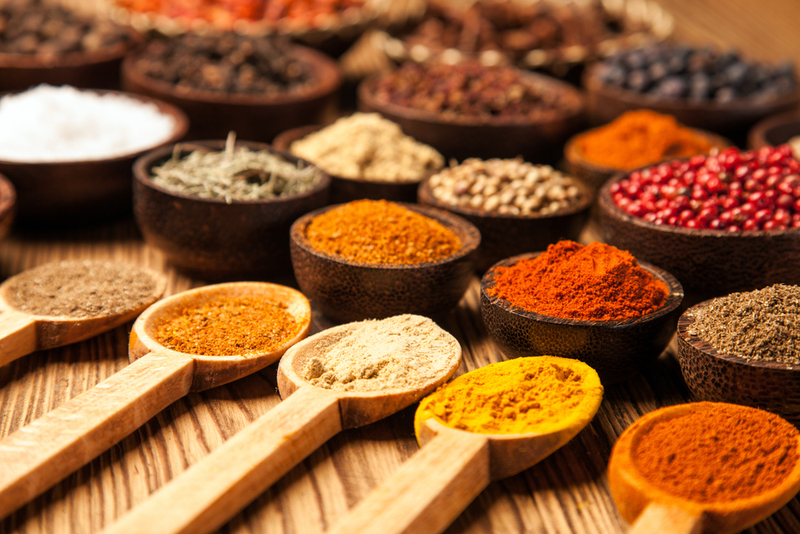 Do a web search on “how to make spice rubs” and you’ll likely find suggestions for combining spices to make your favorite foods more flavorful. The recipes and tutorials largely call for spices to be thrown together in a bowl; maybe a little chopping of herbs, but that’s about it. More attention is often given to how to apply the mixture to your meat or poultry than in the creation of the blend itself. The attention to the creation process is precisely what sets Madison Park Foods’ dry spice rubs apart from commercial spice rubs, gourmet specialty rubs, and even the rubs you might make in your own kitchen. Whether sourcing individual spices, painstakingly combining ingredients, or overseeing packaging, our co-founder (and my husband! ), Stan Gorski, is passionate about perfection. I always know when Stan is contemplating a new spice rub. He begins with the end goal: Beer Can Chicken, or Argentina Steak Rub, or Poultry Rub. His inspiration comes from anything and anywhere; a friend, a book or article he read, a restaurant at which he ate 20 years ago, a favorite dish of a fraternity brother (shout out goes to Al Meismer here for the Beer Can Chicken). But when his concept has percolated enough in his own brain, he pulls out a laptop and begins to create a spreadsheet. What comes next is beyond my comprehension: He begins writing down different spices (granulation, cut, origin) and corresponding amounts or percentages. At this point, he has not tasted anything, hasn’t combined anything except in his head. Then he modifies it, again and again and again. And this is how it was with the making of Dos Gauchos, the Argentina Steak Rub and Chimichurri rojo* mix, Stan worked in Argentina in 1996 and has wanted to move there ever since: Eating big steaks at midnight with Luigi Bosca wine; the tango in the square (not performed by him, thank goodness) what could be better? So, this winter he decided it was time to bring Argentina to New Jersey. After days of research and excel spreadsheets, Stan began to order ingredients he wanted to try in the new rub. Box after box showed up he could begin his experimentation. He play around with various combinations of ingredients, adding a little of this and a little of that, mixing dozens of different batches of rubs. Over the next several weeks, Stan created countless versions of the Dos Gauchos in search for the Holy Grail. 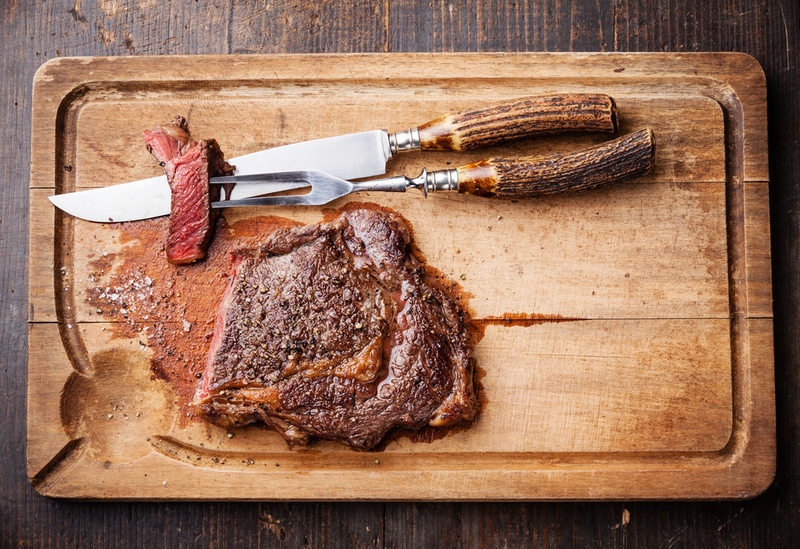 We ate a lot of steak, burgers, pork – anything he thought might work with the rub, taste-testing each one so that Stan could get the feedback he needed to refine his recipe. It’s a painstaking trial-and-error process, and what I find especially intriguing about spices is how the end result changes with just the slightest tweak. While changing the number and type of ingredients is the most obvious way to create a different taste experience, there are actually a seemingly infinite number of ways to refine a spice rub recipe. In this way, making spice rubs is very similar to baking. Not only do the ingredients matters, but the way in which they are mixed together, and the actual order in which the ingredients are blended together makes a noticeable difference in the end result. Even the size of the spice granules and the consistency of the final product have an impact on how well the rub will perform! For Stan, nothing less than absolute perfection will do, so he tweaks and fiddles and adjusts over and over until he finds exactly what he envisions. Not only does Stan pay close attention to the actual mixing and measuring process, but he also sources the perfect ingredients himself. Stan is a spice trade veteran, so he has connections with growers and farmers around the world and with the importers here in the US. Stan’s knowledge of what grower has what product and where we can source it from is truly an amazing benefit that reveals itself in the end product. Buying directly from the importers makes verifying the quality (and safety) as well as consistency of each ingredient. But we do send each batch out to do a battery of food safety tests by an independent 3rd party. Our work isn’t done once we’ve created the perfect recipe and sourced just the right ingredients. Stan works closely with our copacker to ensure that each and every batch is created to his exacting standards. To say he’s fastidious about quality is understatement—we went through several copackers before finding one whose commitment to quality and passion about spices mirrors Stan’s. We hope you found the making of Dos Gauchos interesting. When you enjoy one of our spice rubs, it hits you like a fine wine, starting out with one taste experience and ending with another. Rather than figuring out how to make a spice rub on your own, why not try one of ours? Since it is summer and grilling is fast and easy, we suggest you start with our latest, Dos Gauchos Steak Rub. If you aren’t a meat eater – its’ great on grilled vegetables, or make it into a chimichurri sauce for chicken or a topper for a portabella mushroom.